Both the San Diego Police Department and the San Diego Sheriff are planning DUI checkpoints on Friday night. Police will set up a checkpoint at an undisclosed location within the city limits beginning at 11 p.m. and continuing until 3 a.m. Saturday morning. Sheriff’s deputies will be stopping cars at checkpoints in Lemon Grove and Vista from 8 p.m. until 2 a.m. Saturday. The Lemon Grove checkpoint will be in the 8000 block of Broadway, and the one in Vista will be at an undisclosed location. Both agencies will be stopping drivers to check for alcohol or marijuana impairment. 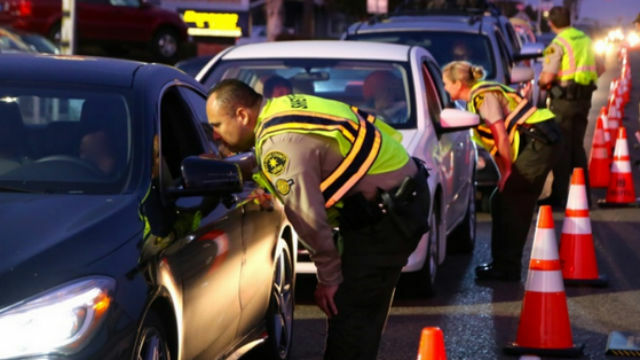 Checkpoints are routinely announced in advance because of the deterrent effect on people who might drink alcohol or smoke marijuana to excess and then get on the road, endangering themselves and others.